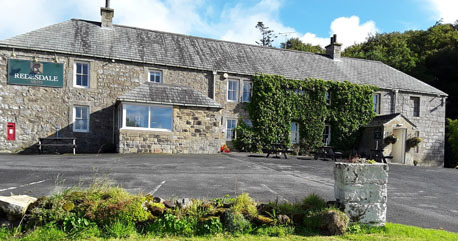 Beautifully situated on the edge of the "Northumberland International Dark Sky Park", overlooking the Rede Valley, the Redesdale Arms is known as the "First & Last" Inn on route to Scotland and has been providing a warm welcome to visitors for centuries. We have 10 comfortable en-suite rooms including family rooms and a disabled facilities room. We're in a perfect location for exploring all that Northumberland has to offer, from Kielder and the Scottish Borders to Rothbury, Cragside and the beautiful Northumberland coast. Our menus are simple, offering regional produce and something for everyone, and we're always happy to cater for alternative dietary needs. Thank you for visiting our website, if we can help any further, please don't hesitate to contact us.